Here I am at the OSU Trial Gardens in the middle of this rainbow of color! 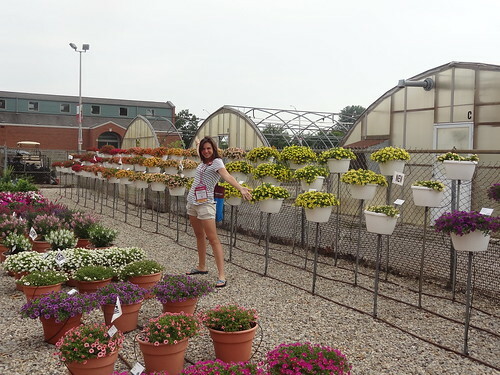 So, here we are again, summer of 2014 which means another trip to Columbus, Ohio to meet new friends, see old friends and of course check out the new plants for next year! 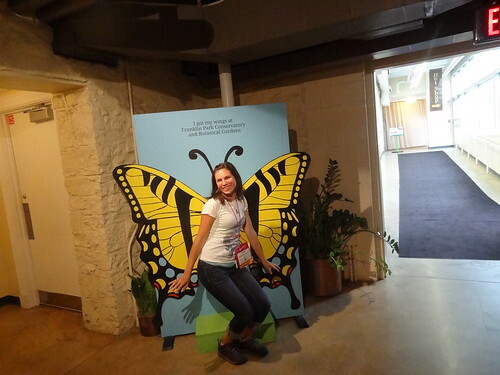 Here are just SOME of the cool new things I saw for next year…check it out! Digiplexis ‘Berry Canary’ from Walters Gardens. Last year the brand new Digiplexis ‘Illumination Flame’ was introduced to us, which is constantly pushing out new plumes in my container garden this summer. Now we have Digiplexis ‘Berry Canary’ as well as Digiplexis ‘Illumination Raspberry’ to choose from next year! Petunia Glamouflage Blueberry from Hort Coutoure. Last year we saw Glamouflage Grape which had a brighter, more purple bloom. 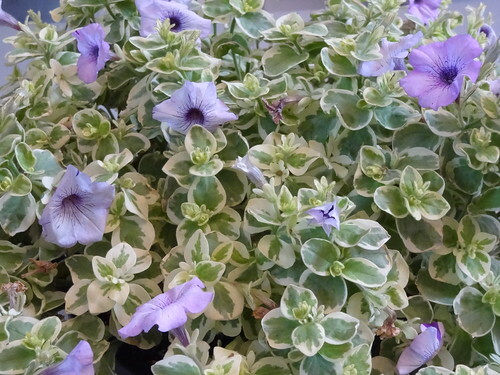 This year’s introduction features a more muted blue color blossom but still boasting that awesome variegated foliage. 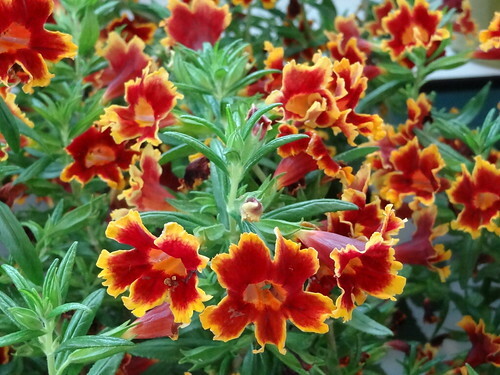 Mimulus Fiesta Marigold (part of the Jelly Bean Series) from Pacific Plug & Liner. I’m super excited to try this new variety. I never have great luck with Mimulus, but this new variety looks to be more upright and maybe a little more sturdy. Begonia Smitty Red. 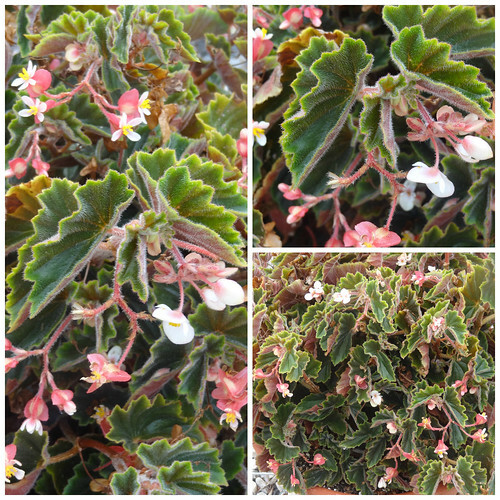 This was an interesting new Begonia I saw at the OSU Trial Gardens. This will definitely be a fun addition to my container gardens next year! Spreading Petunia Easy Wave Velour Series: Red, Burgundy and Berry from Ball Seed. I’m usually not a huge fan of Wave Petunias BUT these looked super cool with their velvety looking blooms. I wanted to touch them every time I saw them! 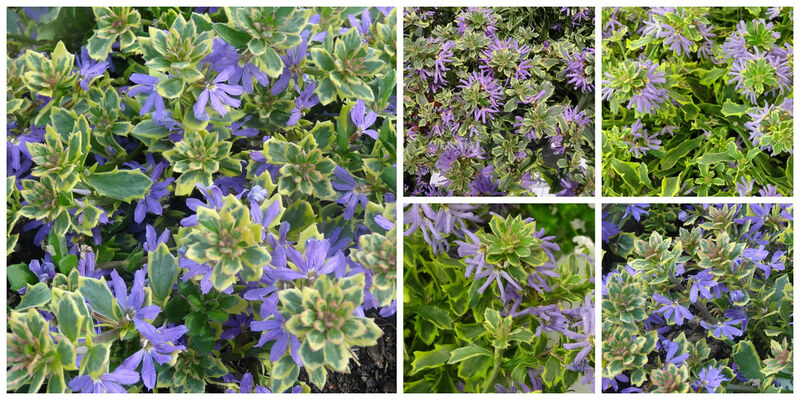 Scaevola Surdiva Variegated Blue from the Suntory Collection. Every year I like Scaevola more and more. It’s a low maintenance trailer that loves full sun and performs all season long. 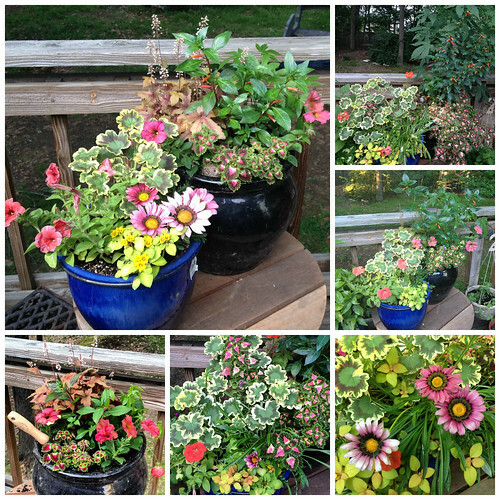 This new variegated variety might add a little more bling to my containers next year! And because we need MORE petunias! These are just a few of the fun new colors and varieties coming out next spring. From top left going down: Petunia ‘Starlet Salmon’ from Selecta, Petunia ‘Salmon Ray’ from Danziger, Supertunia ‘Black Cherry’ from Proven Winners, Petunia Flashmob ‘Bluerific’ from Ball Seed/Burpee Home Gardens. 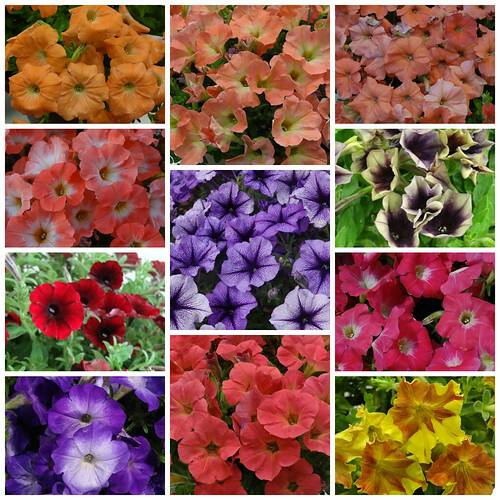 Middle going down: Perfectunia ‘Orange Morn’ from Westflowers, Petunia Suncatcher ‘Blue Blast’ from Ball Flora, Petunia Hells ‘Fruit Punch’ from Westflowers. Top right going down: Petunia African Sunset from Takii & Co., Ltd., Petunia Cascadias ‘Autumn Mystery’ from Danziger, Petunia Flashmob ‘Pinkceptional’ from Ball Seed/Burpee Home Gardens, Petunia Happy Magic ‘Giant Dijon’ from Cohen. 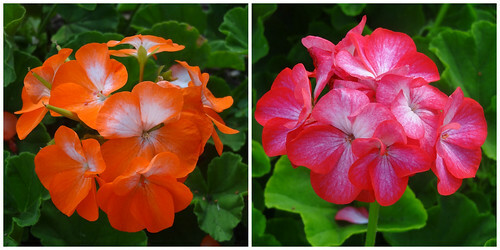 Geranium Pinto Premium Orange Bicolor and Geranium Pinto Premium Rose Bicolor from Syngenta Goldsmith Seeds. A new twist on an old favorite. Looking delicious – creamcicle and peppermint!! 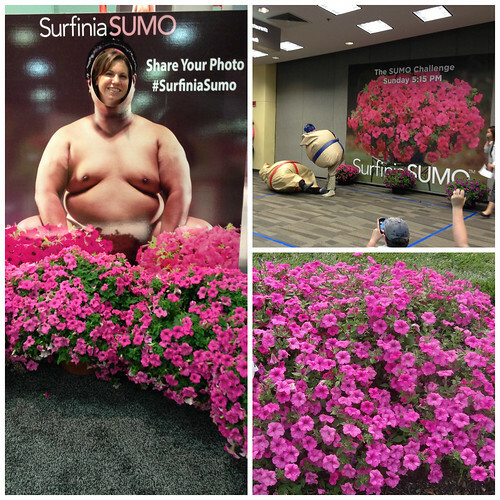 And of course the new Surfinia Petunia for 2015 from Suntory: SUMO! What a fun introduction!! 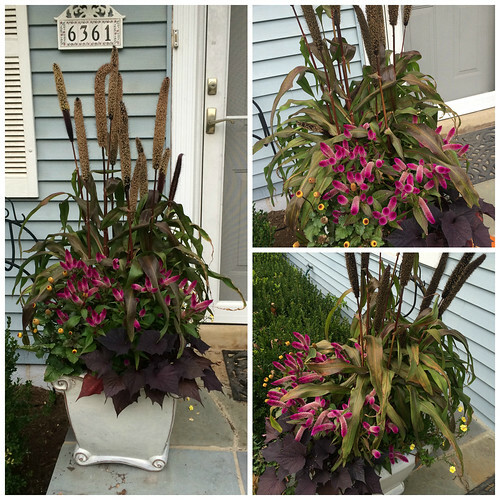 I’m a fan of the Surfinias – nice trailing habit with just enough volume. From the looks of things in the Trial Gardens at OSU, it seems to be a real performer…shocker! One of the most exciting developments this year is the introduction of the Bounce and Big Bounce series of New Guinea Impatiens (NGI’s) from Selecta. 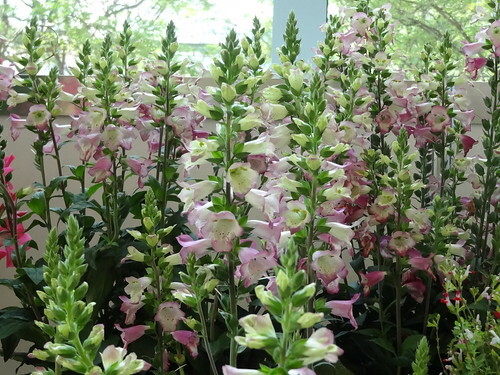 These guys can grow in more dense shade and are more florific than the current varieties of NGI’s on the market. 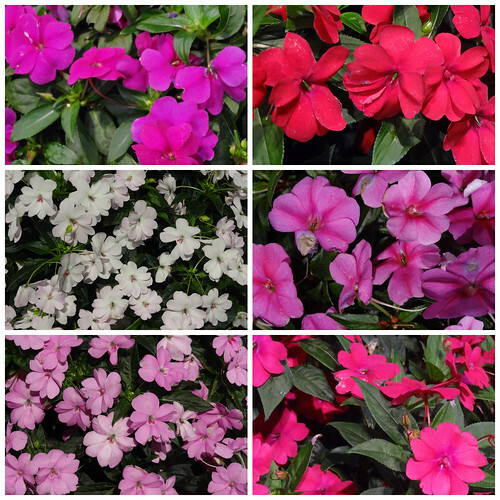 This should be a more reliable alternative to the regular bedding Impatiens that are still so susceptible to the Impatiens Downy Mildew disease – this has been a major problem here in the Mid Atlantic area, as well as many other areas throughout the country. TL: Bounce Violet, ML: Big Bounce White, LL: Big Bounce Lilac, TR: Big Bounce Red, MR: Bounce Pink, LR: Big Bounce Cherry. I hope you’re as excited as I am about these (and more!!!) 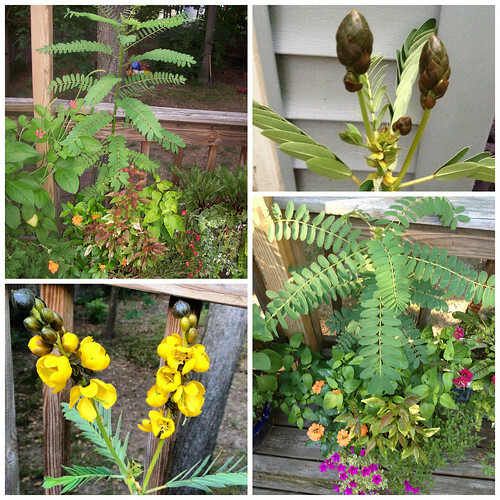 new plants for next spring. Did anyone try any of the new plants for spring of 2014? I’d love to hear your feedback and share my experiences with you too!